Talented and most popular Chassidic singer, Michoel Schnitzler, has just finished recording the new hit song “Dee Voch” which will be distributed free with the upcoming Dee Voch Sukkos Mega Issue. 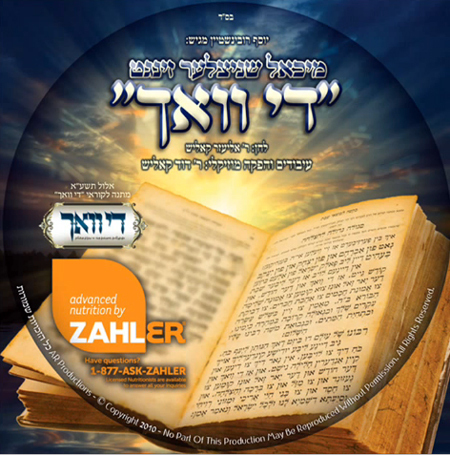 Weekly pictorial Yiddish magazine, Dee Voch, well known for it’s wide diversity of readers and quality coverage of Jewish life in America and abroad has made it an effort to entertain and provide quality and original material for the Orthodox community, that’s why they just release this mega-single “Dee Voch”, composed by R’ Eliezer Kalish and arranged by Dudi Kalish, with musicians: Avi Singolda, Birnbaum, Vitaly and more, and it will all be distributed FREE in the upcoming double issue, Lekovod Sukkos. Make sure to get your copy!